Hi everyone. 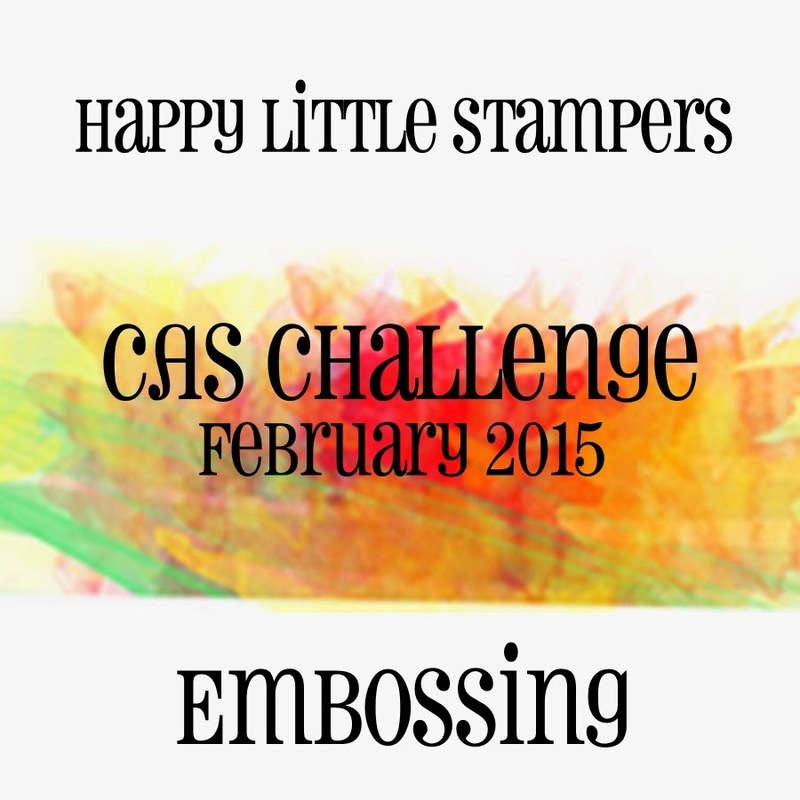 I'm so excited today to be the guest designer for STAMPlorations February Challenge - Stamps & Hearts! I used the smallest flourish from the Distressed Floral Swirls stamp set to create a backdrop for my red foil heart. I drew a heart shape onto my card front in light pencil and then used my versamark stamp pad to add in the flourishes, along the penciled lines. I coated it with gold embossing powder and heat set --- so shiny! :) I finished the card with a sentiment from the Rosebuds set. I hope you'll join in this month's fun challenge at STAMPlorations and post your "Stamps & Hearts" cards! beautiful card Loll - love your gold flourish background for the heart!! Loll, this is really gorgeous! That punch of gold behind the metallic red is a genius design move! I ADORE that golden heart flourish! Great to have you at GD at STAMPlorations! This is so you Loll, simply gorgeous. Hope you are recovering well. Love that golden embossing, fabulous design! Congrats on your well deserved Guest DT spot! Such an elegant and stunning card, Loll! 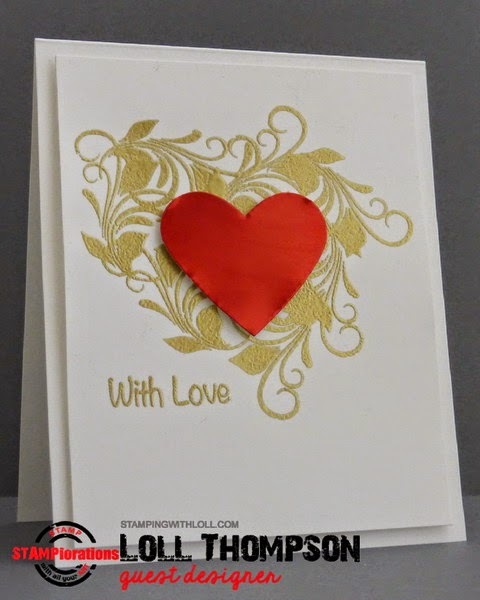 I love the shiny gold embossing with the striking red heart and lovely CAS design...Just beautiful!!! Congratulations of your guest designer spot and what a pretty card design Loll. Loll, another beauty! The red against the gold is so elegant and eye-catching, and the simple sentiment is perfect in that space! I hear you are recovering from surgery - hope today finds you back on track to your healthy self! A fabulous design! The heat embossed gold flourish is so beautiful and makes a wonderful backdrop for the heart. Love that red foil heart and the flourishes are so rich looking! Exquisite! Love those gold embossed flourishes!! LOVE that gold embossing! It's just stunning! Awesome card! Love the gold embossed flourishes under the red heart! Great to have you as GD at STAMPlorations this month. This is so elegant and stylish Loll - love it. Congratulations Loll on being GD. Hope you are healing up each day. I love how you have embossed with gold and have that pop of color Loll. Congrats on your GD spot...so well deserved, Loll! This is simply stunning! Love that gold flourish!